Mapleridge Children & Adult Dentistry is committed to providing comprehensive dental care for children, teens, and adults in and around Liverpool, New York. Our office uses advanced technology and modern techniques to care for our patients in a comfortable, family-friendly environment. If you have any questions, please contact our office, and a team member will be happy to assist you! 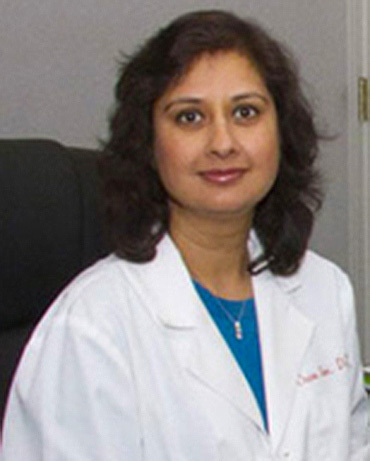 Below you will find more information about our expert, Dr. Charu Saini. Dr. Saini is a general dentist who has proudly served the Central New York and surrounding area for over fifteen years. Her current practice, Mapleridge Children and Adult Dentistry, is conveniently located in Liverpool, New York. Among the many services provided, Dr. Saini performs all phases of restorative dentistry, including crowns, bridges, dentures, and cosmetic procedures. 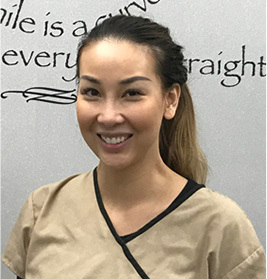 Her passion is pediatric dentistry, and she takes pride in her ability to provide quality care for children in a warm, inviting setting. Dr. Saini regularly performs fillings, pulpotomies, stainless steel crowns, extractions, spacers, and sealants for younger patients. Both children and adults remark on the warm and caring treatment they receive at Dr. Saini’s office. For patients who feel anxious, or simply have a hard time sitting still, Dr. Saini also offers sedation dentistry using nitrous oxide, commonly called laughing gas. Along with her practice, Dr. Saini also participates in the Donated Dental Services program (DDS,) which gives her a chance to help care for the underprivileged population of our society. Dr. Saini’s husband, Dr. Rajeev Saini, is also a practicing physician in the area. 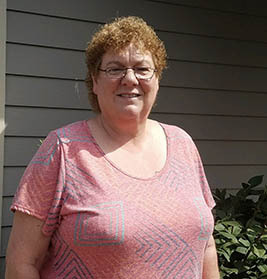 Most of her free time is dedicated to her two twin daughters, and she enjoys spending time with her family, gardening, and cooking. Our team at Mapleridge Children and Adult Dentistry consists of well-trained, professional, and courteous individuals. Our staff understands the importance of feeling comfortable at your Liverpool NY dentist office and we all strive to make your trip a pleasant one. We have a passion for all types of dentistry, including children’s, adult, emergency, cosmetic, and general dentistry in Liverpool, NY. Read more about our staff below! Leanna was born and raised in northern New York State. 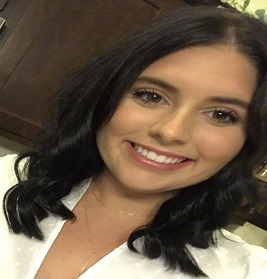 She moved to the Syracuse area to attend OCC for Dental Hygiene. She graduated in 2003 with her Associates degree then later obtained her Bachelor in Technology degree from SUNY Canton. Leanna acquired a perfect score on her clinical boards for licensing and is fluent in American Sign Language. In her off time, she loves to spend time with family and friends, as well as travel to meet new people and broaden her cultural prospective. Hein was born and raised in Vietnam. She moved to US when she was in high school. She graduated from Hudson Valley dental hygiene program in 2011. She has been working in Albany area and recently moved to Syracuse after her marriage. Hien speaks English and Vietnamese.She loves to work with kids. She enjoys cooking and traveling. She loves animals. I grew up in Little Falls, NY. After high school, I studied Travel & Tourism at Wilma Boyd Careers School in Pittsburgh, PA. I worked at Grossinger Hotel in the Catskills before I moved to Syracruse in 1984. I married my wonderful husband Bill in 1986. I have been a dental receptionist since 1984, taking time off to have my two beautiful girls, Kelcie and Jensen, and my handsome son, Trey. I am looking forward to my first grandchild the summer of 2013.I have been working in this practice since January 2008. I enjoy my job; it fits my personality very well. When I’m not working I like to shop, watch movies, go to my kid’s activities, snuggle with my dogs, spend time with my friends and family and travel. I went to Oswego County BOCES for Dental Assisting. I have been working in the dental field for thirty years. I keep up to date on dental assisting training. I have always enjoyed dentistry. I have two daughters, Erika, an RN, and Nicole, a veterinarian technician. I have one granddaughter, Jocelyn, who I adore. In my free time, I enjoy riding my bike, working out at the gym, shopping and spending time with my family and friends. I am also involved with my church family. We are pleased to announce the addition of a new Hygienist on board. 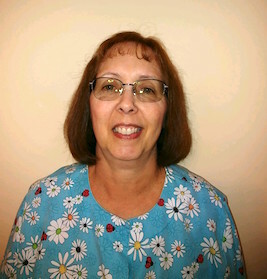 Jerri was born and raised in Rochester, Newyork. She got her AAS degree in dental hygiene in 1978 from Monroe community college and has been practicing since then. She has vast experience in treating all different age groups of patients. She has a very calm and pleasant demeanor which puts her patients at ease. She is married with two grown-up children and loves to spend time with her friends and family. She is working part-time as she would like to do more traveling. We are excited to have her with us.